ERB is in lust again; it’s back to the peep show. 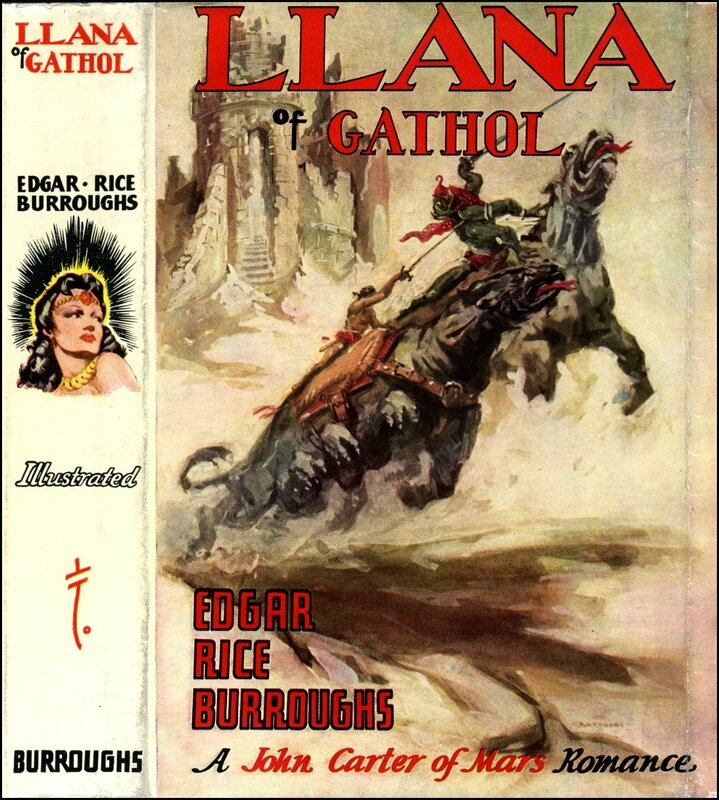 John Carter will not only have Dejah Thoris to win in this adventure, but he also crosses paths with some of the sexiest women in the Mythos, from Zanda, a slave girl in Zodanga, to Ozara, the Jeddara of the Tarids on the Barsoomian moon, Thuria. “The moon had risen above the rim of the canyon near the headwaters of the Little Colorado. It bathed in soft light the willows that line the bank of the little mountain torrent and the cottonwood trees beneath which stood the tiny cabin where I had been camping for a few weeks in the White Mountains of Arizona. “I stood upon the little porch of the cabin enjoying the soft beauties of this Arizona night; and as I contemplated that peace and serenity of the scene, it did not seem possible that but a few years before the fierce and terrible Geronimo had stood in this same spot before this self-same cabin, or that generations before that this seemingly deserted canyon had been peopled by a race now extinct. “I had been seeking in their ruined cities for the secret of their genesis and even stranger secret of their extinction. How I wished that those crumbling lava cliffs might speak and tell me of all that they had witnessed since they poured out in a molten stream from the cold and silent cones that dot the mesa land beyond the canyon. “My thoughts returned again to Geronimo and his fierce Apache warriors; and these vagrant musings engendered memories of Captain John Carter of Virginia, whose dead body had lain for ten long years in some forgotten cave in the mountains not far south of this very spot – the cave in which he had sought shelter from pursuing Apaches. “My eyes, following the pathway of my thoughts, searched the heavens until they rested upon the red eye of Mars shining there in the blue-black void; and so it was that Mars was uppermost in my mind and as I turned into my cabin and prepared for a good night’s rest beneath the rustling leaves of the cottonwoods, with whose soft and soothing lullaby was mingled the rippling and the gurgling of the waters of the Little Colorado. “I was not sleepy; and so, after I had undressed, I arranged a kerosene lamp near the head of my bunk and settled myself for the enjoyment of a gangster story of assassination and kidnaping. anything that might go on within it. “I do not know that I am more susceptible to suggestion than the average man; but the fact remains that murder, mystery, and gangster stories always seem more vivid when I read them alone in the stilly watches of the night. “I had just reached the point in the story where an assassin was creeping upon the victim of kidnapers when I heard the front door of my cabin open and, distinctly, the clank of metal upon metal. “Now, insofar as I knew, there was no one other than myself camped upon the headwaters of the Little Colorado; and certainly no one had the right to enter my cabin without knocking. “I sat up in my bunk and reached under my pillow for the .45 Colt automatic that I kept there. “The oil lamp faintly illuminated my bedroom, but its main strength was concentrated upon me. The outer room was in darkness, as I could see by leaning from my bunk and peering through the doorway. “‘Who’s there?’ I demanded, releasing the safety catch on my automatic and sliding my feet out of bed to the floor. Then, without waiting for a reply, I blew out the lamp. “The voice was familiar, but I could not definitely place it. ‘Who are you?’ I demanded. “‘Damn!’ I exclaimed under my breath, as I started to relight the lamp. “‘Chimney still hot?’ inquired the deep voice from the outer room. “I remained seated on the edge of the bunk, but I kept the doorway covererd with my gun. I heard again the clanking of metal upon metal, and then a man stepped into the light of my feeble lamp and halted in the doorway. He was a tall man apparently between twenty-five and thirty, with gray eyes and black hair. He was naked but for leather trappings that supported weapons of unearthly design – a short sword, a long sword, a dagger, and a pistol; but my eyes did not need to inventory all these details before I recognized him. The instant that I saw him, I tossed my gun aside and sprang to my feet. “None other,’ he replied, with one of his rare smiles. “We grasped hands. ‘You haven’t changed much,’ he said. “‘Nor you at all,’ I replied. “‘A pretty little bedtime story of assassination and kidnaping,’ I explained. “I did not have to ask whom he meant. 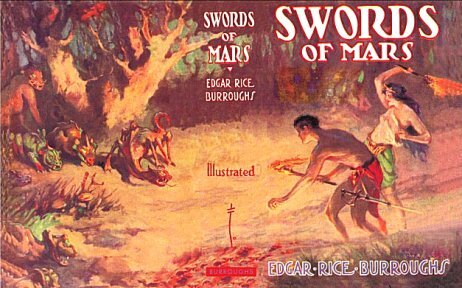 It could be none other than the incomparable Dejah Thoris, Princess of Helium, and consort of John Carter, Warlord of Mars – the woman for whose deathless beauty a million swords had been kept red with blood on the dying planet for many a long year. “For a long time John Carter sat in silence staring at the floor. I knew that his thoughts were forty-three million miles away, and I was loath to interrupt them. “At last he spoke. ‘Human nature is alike everywhere,’ he said. He flicked the edge of the magazine lying on my bunk. ‘We think that we want to forget the tragedies of life, but we do not. If they momentarily pass us by and leave us in peace, we must conjure them again, either in our thoughts or through some such medium as you have adopted. As you find a grim pleasure in reading about them, so I find a grim pleasure in thinking about them. Anyone who has ever been slowed down by traffic while a car’s occupants rubber-neck over an accident scene, will understand the morbid fascination with horror. 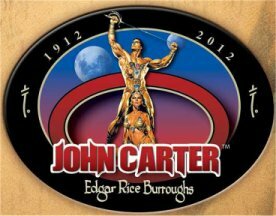 So, why again did John Carter appear to ERB this time? That’ s right, it is never answered. He just wanted to share his adventure. 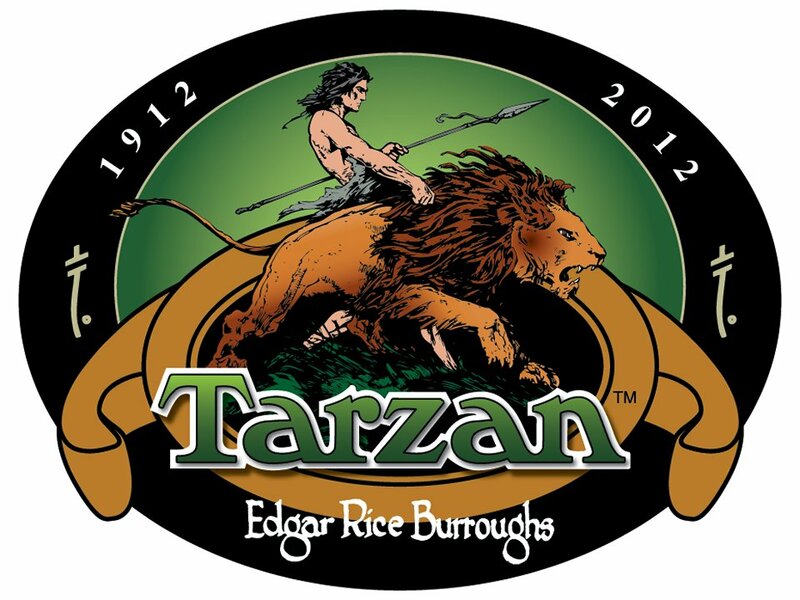 But ERB believed only an epiphany could set the stage for another installment of the Barsoomian Mythos, four years after the last one. But is John Carter’s earthly body still interred in the specially made tomb in the little cemetary in Richmond? We will never know. When I think about the torture the readers of G.R.R. 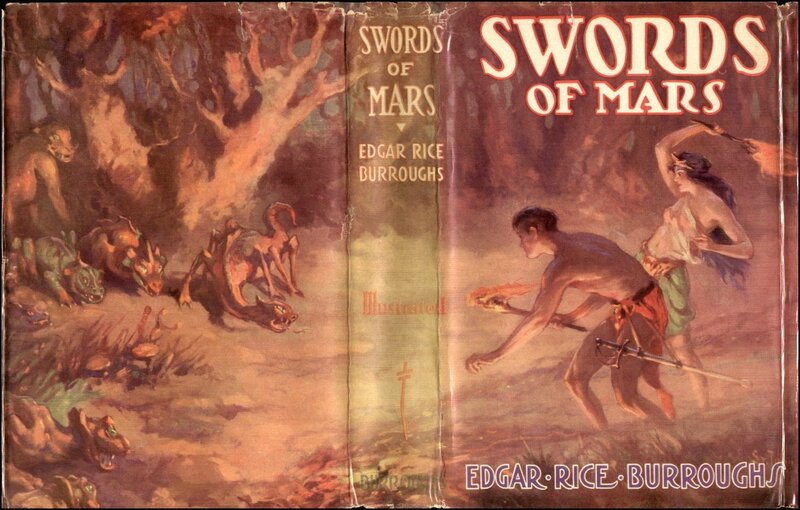 Martin’s “Song of Ice and Fire” have had to undergo during the 16 years he has been writing it, waiting for all of the plot lines to resolve, I can now imagine the anticipation the lovers of Barsoom must have had, having to wait from 1912 to 1940, from A Princess of Mars to Llana of Gathol, for ERB to conclude the series, and only then, by his death. As I will explain in the next Runner-Up, it is my belief that the Eleventh installment of the Barsoomian Mythos is apocryphal, written by others; one notably by ERB’s son, Jack; the other by likely an adequate forger who was able to deceive many. There is one more installment of the Mythos before the last epiphany, Synthetic Men of Mars, written in 1938, five years after the last one. Things have begun to deteriorate in the life of ERB. He is no longer as popular as he used to be. Hugo Gernsback, editor of Amazing Stories (for whom the Hugo is named), has begun to set the stage for most of ERB’s main competitors in the growing science fiction genre. “To him [Vor Daj] we are indebted for this remarkable tale of strange adventure upon the planet Mars; to him and Jason Gridley whose discovery of the Gridley Wave has made it possible for me to receive this story over the special Gridley radio receiving set which Jason Gridley built out here in Tarzana, and to Ulysses Paxton who translated it into English and sent it across some forty million miles of space. “I shall give you the story as nearly as possible in the words of Vor Daj as is compatible with clarity. Certain Martian words and idioms which are untranslatable, measures of time and of distance will be usually in my own words; and there are occasional interpolations of my own that I have not bothered to assume responsibility for, since their origin will be obvious to the reader. In addition to these, there must have undoubtedly have been some editing on the part of Vad Varo [the Martian name of Paxton]. Why this tale was not as special as the one before it or the one after it to not warrant an epiphany is anyone’s guess. 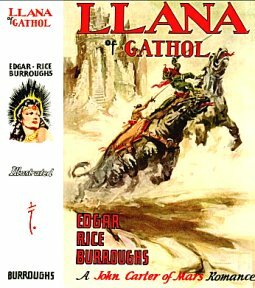 I like mine best that the John Carter epiphanies only come either in times of extreme joy or extreme stress, and as a result, the epiphanies work in the same manner as classical epiphanies in the Bible or classical literature worked on those receiving them. “Lanikai is a district, a beach, a Post Office, and a grocery store. It lies on the windward shore of the Island of Oahu. It is a long way from Mars. Its waters are blue and beautiful and calm inside its coral reef, and the trade wind sighing through the fronds of its coconut palms at night might be the murmuring voices of the ghosts of the kings and chieftans who fished in its still waters long before the sea captains brought strange diseases or the missionaries brought mother-hubbards [a woman’s loose, unbelted dress]. “Thoughts of the past, mere vague imaginings, were passing idly through my mind one night that I could not sleep and was sitting on the lanai watching the white maned chargers of the sea racing shoreward beneath the floodlight of the Moon. I saw the giant kings of old Hawaii and their mighty chiefs clothed in feather cape and helmet. Kamehameha came, the great conquerer, towering above them all. Down from the Nuuanu Pali he came in great strides, stepping over cane fields and houses. The hem of his feather cape caught on the spire of a church, toppling it to the ground. He stepped on low, soft ground; and when he lifted his foot, the water of a slough rushed into his footprint, and there was a lake. “I was much interested in the coming of Kamehameha the King, for I had always admired him; though I had never expected to see him, he having been dead a matter of a hundred years or so and his bones buried in a holy, secret place that no man knows. However, I was not at all surprised to see him. What surprised me was that I was not surprised. I distinctly recall this reaction. I also recall that I hoped he would see me and not step on me. “I blinked my eyes and looked again. There before me stood indeed a warrior strangely garbed, but it was not King Kamehameha. Under the moonlight one’s eyes sometimes play strange tricks on one. I blinked mine again, but the warrior did not vanish. Then I knew! I believe we have adequately answered the question of whether John Carter is a divine being in the affirmative. This time his coming to Earth is marked by a supernatural vision, rather than by the playing of mischievous tricks in the dark. That cape of Kamehameha’s toppling the church after mention of the missionaries made me wonder if ERB was making a criticism of how the West was ruining the native culture of Hawaii, and the revenge of the ghost of the king in retaliation, but perhaps I was reading too much into the text. From what we know about ERB’s lifestyle at this time, I think we are not doing too much damage to his reputation by imagining ERB as three sheets to the wind during this epiphany. Once again ERB is facing marital discord. Flo is not a big fan of Lanikai. By the summer of the next year, she will have left him for the mainland. But that is a year away. “‘I appreciate that,’ I said. Did you catch the veiled reference to the Holy Ghost? I just wanted to be sure you are no longer in doubt about Carter being a divine being. Okay, the fake ERB is now very old, warranting such a visit by Carter. 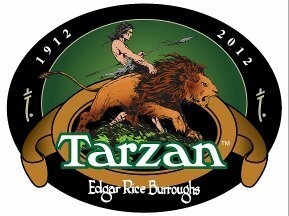 Remember, the fake ERB would be about 85 years old; the real one being about 65 – still getting up there (I’m a little over two months from that one myself), but not as if he were 85 with the worries that must come with that age. Thus end the Epiphanies of John Carter and the fake autobiographies of ERB. May they both rest in peace. Thank God ERB was not a con man. He could have easily competed with Paul Twitchell or L. Ron Hubbard in Americanizing the ancient art of astral traveling, especially since his hero astral travels back and forth from Mars. The one big selling point to join Eckankar is that they allegedly can teach the ability to astral travel to other planets.  Twitchell, unlike L. Ron Hubbard – who learned from the Jews and Christians that without guilt you have no true religion – lived long enough to establish the basis for his new religion. But in the end, he and Eckankar were exposed as frauds. I imagine the same fate waits for Scientology, regardless of its celebrity members like Tom Cruise and John Travolta. At least ERB spared his readers such embarrassment by never taking what he wrote seriously. When you think about it, that is the correct way to view all religion.